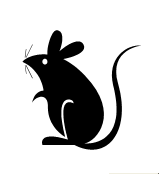 Music Mice Service is organised by the Mothers’ Union and is held in the Priory Lady Chapel on the second Monday of the month (except August) starting at 9.45 am. There are songs and stories for toddlers and pre-school children with parents or carers joining in. It is followed by squash for toddlers and coffee and a chat for parents and carers. If you have a new baby or toddler you would be warmly welcomed at this service. For more details Please contacy the Family and youth worker via our contact page.